The State Compensation Insurance Fund (SCIF) is the largest workers’ compensation insurer in the state of California. 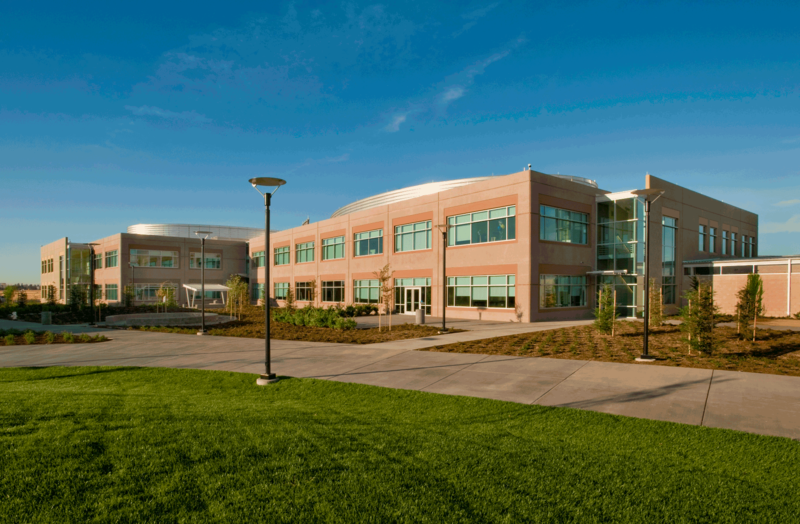 For this project, construction consisted of three new, two story buildings totaling 258,000 sf. The three facilities were built to house office space, a conference center, cafeteria and data center. 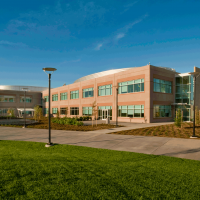 Energy efficiency was a key focus with equipment such as evaporative cooled rooftop package units and condensing boilers provided for each building. All units were equipped with air flow measuring stations and Dolphin chemical free water treatment systems. Building 2 incorporated an underfloor design for the second floor. The units for the second floor delivered supply air temperature to meet the underfloor condition and a secondary cooling coil was added to lower the supply air temperature for the first floor overhead system. The second floor underfloor system utilized an air highway and underfloor fan powered terminal units and perimeters and conference room. A 1,200 ton chilled water central plant was designed to meet the current and future loads of the SCIF Data Center. The data center was sized at 15,000 SF and was designed to be modular and scalable up to an ultimate load of 120W/sf. It was designed for 2(N+1) electrical and N+1 mechanical infrastructure to meet The Uptime Institute Tier III classification.